Toby The #Sacktown Pug Is Home :) | Sack-Vegas!!!! 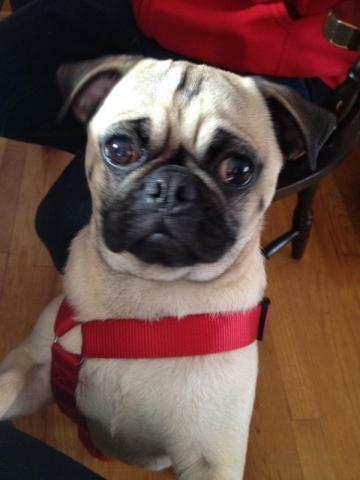 “Toby is home safe and sound!! 🙂 …. Thanks again to everyone for all the help in locating Toby. He was taken to the Sackville Animal Hospital, then turned over to animal control last night. My 4 yr old little girl was ecstatic when she saw him walk through the door. She has not stopped playing with him along with,her sister and brothers since they arrived home from school. Thanks again everyone for all your help”. Posted by Sacky on April 2, 2014 in Escaped Sacktown Critters.